Even drive-by folks, who only know Mesquite from trips on I-15, know of its emerald golf courses and sports fields that beckon every age and skill level. The courses, ball parks and soccer fields are in top form now, ready for high season. Mesquite hosts UYSA soccer on January weekends at the Mesquite Sports and Events Complex at the foot of dramatic Flat Top Mesa. Spectators welcome! Meanwhile, downtown, Rocky Mountain School of Baseball holds winter ball camp Jan 14-16 at the City of Mesquite fields. USA Winter Girls Fast Pitch contest runs Jan 27-29 at the Rising Star Sports Ranch. (This new hotel/sports facility was featured in Mesquite Correspondence – October 2016.) Information about these kids’ events can be found on Mesquite’s website, www.mesquitenv.gov. 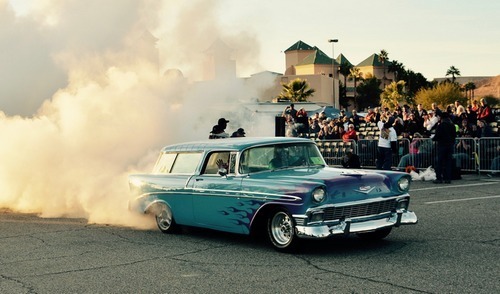 For those who like to kick tires and cruise the main drag, Mesquite Motor Mania dominates town Jan 13-16. Roll your fuzzy dice over to this outdoor car show that owns the town, exit to exit. The annual event draws about 800 classic cars of all sorts, staged by the Las Vegas Cruisin’ Association. Cars will be on display at all major casinos throughout town. Car owners vie for prizes in many categories, and spectators can vote for their favorite ride. A schedule of events can be found online at casablancaresort.com/entertainment. Nothing is more breathtaking than a balloon festival. Mesquite welcomes back these beautiful highfliers January 20-22. 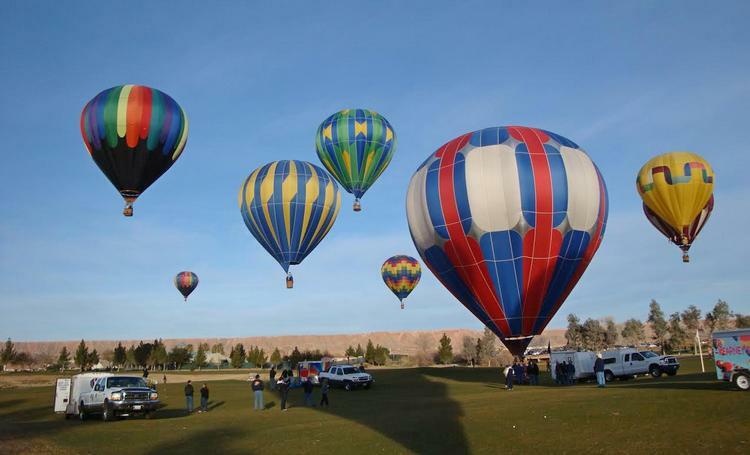 Balloon ascents are scheduled for early each morning, with a night glow ready to thrill the crowd on Saturday evening, Jan 21. Mesquite Gaming hosts this exciting event, which takes place at the CasaBlanca Resort event grounds. Go online at casablancaresort.com/entertainment to sign up to volunteer to help crew a balloon.This free event provides spectators with fabulous photo ops. January is the time to check out the 2017 Mesquite Senior Games lineup and sign up to compete against your own age group in your chosen sport. Everything from golf to bocce ball awaits the over-50 athlete. This is a premier senior competition, but is tons of fun for everybody who wants to try their hand (or foot) at winning. Go to mesquiteseniorgames.org for all details. See you at the Mesquite Senior Games in March-April!